On the penultimate day of competition, Iran played its last game and secured the the 2015 Jones Cup championship crown after defeating Russia. In other games, Japan earned back-to-back wins by beating Taiwan White, Gilas stayed alive for second place after tripping Team USA, and Taiwan Blue rallied to upset New Zealand. Here are the complete results from Day Eight! After starting the tournament 0-5, Japan continued its recent run of success by defeating Taiwan White. Japan trailed by four points at halftime, but the team made adjustments and blew Taiwan’s Team B out of the water in the second half, 42-21. 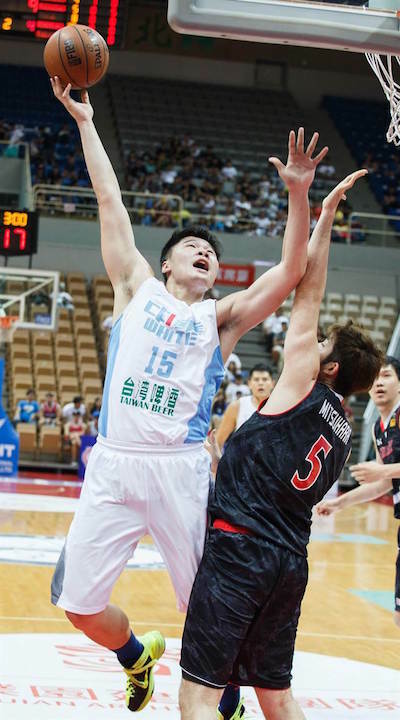 The Japanese side was led by forward Yuki Mitsuhara, who led all scorers with 26 points and 16 rebounds. 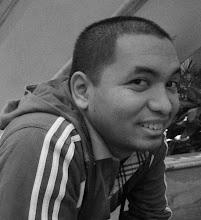 Chou Yi-Hsiang scored 19 points to pace Taiwan, but its five starters combined for a mere 15 markers. Chen Kuan-Chuan goes up strong against Yuki Mitsuhara. Chou Yi-Hsiang goes up strong in transition. Iran entered the eighth day of play as the clear best team in the tournament, yet Russia had a chance to put itself in position to win the gold medal. That didn't come to fruition, though, as Iran lived up to the hype and easily defeated the Spartak selection. The Iranian side outscored the Russians in every quarter, including a 31-17 outburst in the third. Mahdi Kamrani was the biggest thorn in Russia's side with 20 points, while Hamed Afagh added 16 points. Former Memphis Grizzlies and Phoenix Suns center Hamed Haddadi dropped 11 points and secured 7 boards. Dmitrii Uzinskii did his darndest to keep Russia in the hunt with a game-high 23 points, but a lack of support from his teammates left the Russians woefully short of the mark. 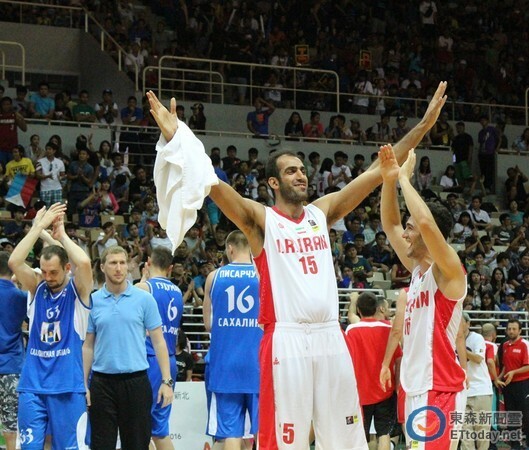 Hamed Haddadi and the rest of Iran celebrate another Jones Cup romp. Gilas Pilipinas were in firm control of the game through three quarters, although they almost gave it away in the fourth. The Americans put the pressure on in the fourth frame, with Marquin Chandler, Calvin Warner and Cory Bradford giving the Philippines fits, but Gilas managed to hang on. The Philippines squad wasn't at full strength by any means, with talented point guards Terrence Romeo and Jayson Castro out of action. Calvin Abueva stepped up with 20 points, though, as did Gary David, with a much-needed 13 points off the bench. 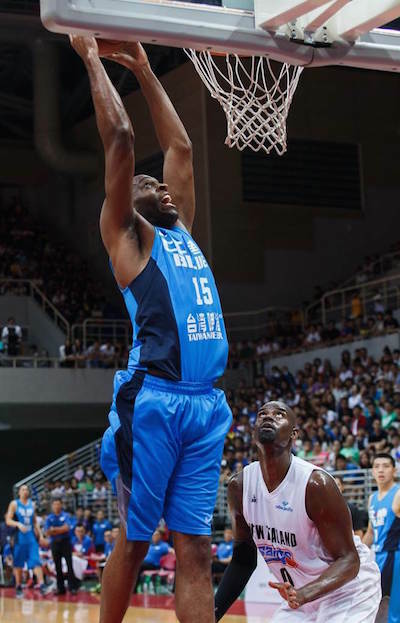 Marquin Chandler led Team USA with 20 points and 10 rebounds, while Cory Bradford and Calvin Warner combined for 36 markers. 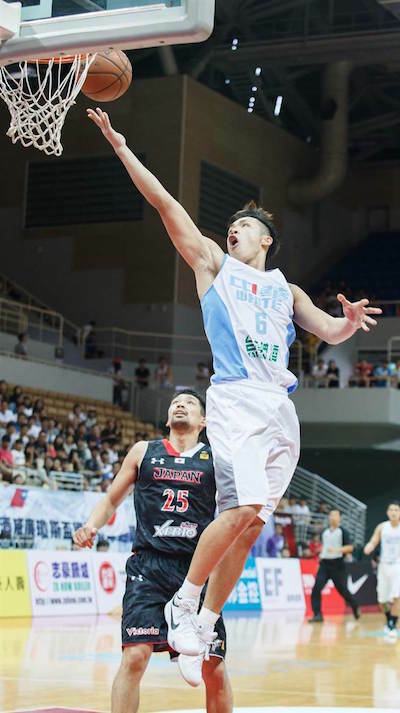 Taiwan Blue’s chances of winning the silver medal seemed to be totally dashed through three quarters as it trailed New Zealand by nine points, but a 36-point showing in the fourth quarter gave it a narrow 86-84 victory. Quincy Davis was perhaps the biggest reason for this W as he scored 22 points, including hitting eight of his 10 attempts from the free-throw line. The Wellington Saints' dynamic duo of Bryan Davis and Eric Devendorf accounted for 37 total points, while Kevin Braswell added 22 off the bench. 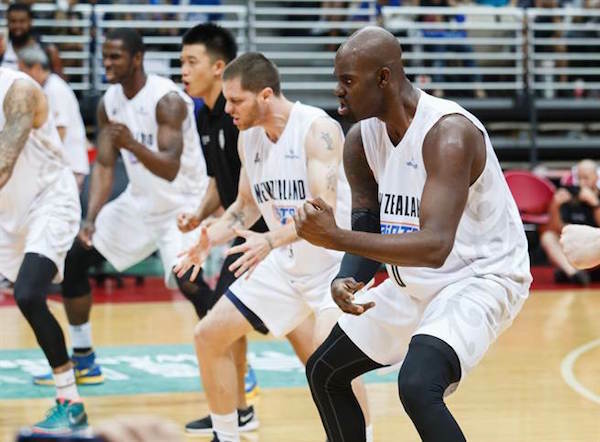 That wasn't enough, though, as New Zealand's defense was in total disarray during the final quarter. The famous Haka from the New Zealand squad. 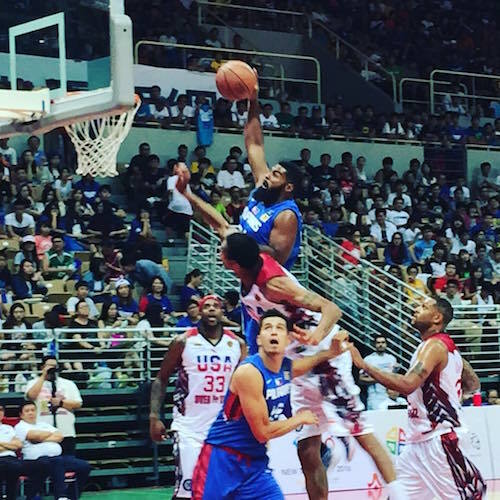 Quincy Davis gets up for the slam against NZL.